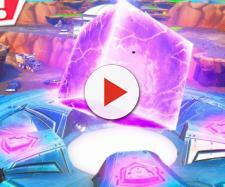 Things just got insane in "Fortnite" BR with the recent introduction of one of Marvel's most powerful villains, Thanos. It looks like the flow of new content will keep on coming if the datamined files and alleged leaks are anything to go by. Die Buddies (@TwoEpicBuddies) who are known to dig deep into "Fortnite's" game files have visited that part of the game yet again and discovered some things that might interest its player base. If the recently datamined files are anything to go by, it may well seem that the previously shelved jetpack will finally be introduced in the third-person shooter. According to the dug up files, a couple of game assets that have the word 'jetpack' on it have been discovered alongside the Thanos assets (they call him "Jim"). It also looks like the yet-to-be-released item will have a limited time usage as it hints of it having a fuel gauge and progress bar/fuel bar. There's even a game asset that talks about a "massive gadget" to be added into the game. Meanwhile, another set of alleged leaks about "Fortnite's Season 5 has been making rounds online again as it hints a map changes, new weapons, and items. This was posted over on the FortniteBR subreddit and it has been gaining quite a bit traction lately. 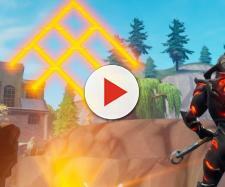 According to its OP (Hi_Im_Hungry_Im_Dad), both Tilted and Moisty will be heavily damaged as this will be caused by the massive Leviathan (without the suit) that will be hatched from the pulsating rock that crashed in Dusty. This is somewhat close to u/internetadam's previous post that got removed from the above-mentioned subreddit. However, he stated that Moisty will be gone by the end of Season 4 while Tilted will be totaled in Season 5. DurrHotsauce (makes players move quicker). 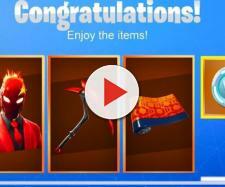 There is even talk of a "Durr Burger Helmet" that is rumored to be a mascot-themed helmet that will protect players from a single instance of critical damage.